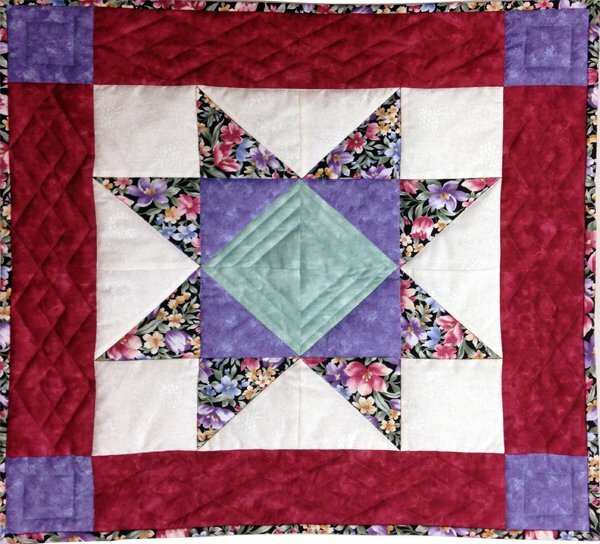 Step into the world of quilting with this wonderful introductory class. Create a wall hanging while learning to piece by machine. You will learn many tricks of the trade that will make even your first project look good! This class is geared for the beginner who wants to try patchwork piecing or for those who have tried it on their own and been dissatisfied with the final result. Complete this class by doing some basic machine quilting. Fabrics are pre-kitted for this class. Sewing Machine with manual, purchased kit and basic sewing needs. Need to purchase the kit.